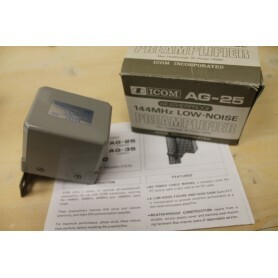 AG-1 ICOM, UHF POLE PREAMPLIFIER - 430 MHZ LOW NOISE, CONDITION AS NEW IN ITS PACKAGING, COMPLETE WITH NEW BRACKET NEVER USED AND ASSEMBLY INSTRUCTIONS. 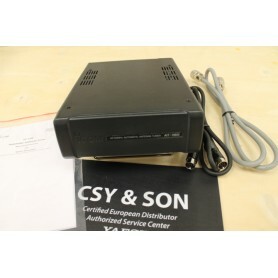 ICOM AT180 AUTOMATIC TUNER, NEW CONDITION, COMPLETE WITH CONNECTION CABLE, PL-PL COAXIAL CABLE, USER MANUAL. PERFECT. 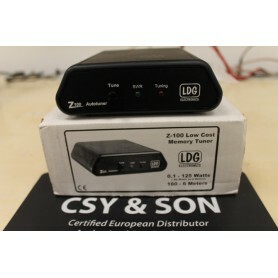 LDG Z100 AUTOMATIC TUNER EXCELLENT FOR QRP, WORKS WITH 0.1 UP TO 125 WATTS, FROM 1.8 TO 60 MHZ, AS NEW IN ITS ORIGINAL PACKAGING. 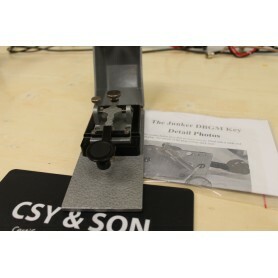 BEAUTIFUL KE CW JUNKER, IN PERFECT CONDITION, MODEL DBGM. 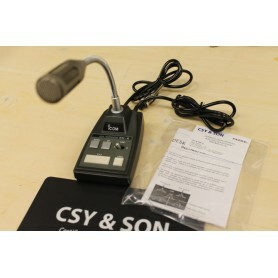 ICOM SM-8 DESKTOP MICROPHONE IN THE SAME CONDITION AS THE NEW, COMPLETE WITH TWO 8-PIN CABLES, TESTED AND CONTROLLED. 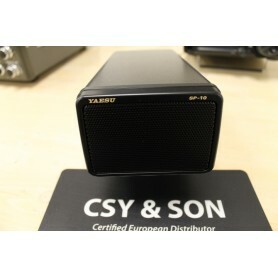 ICOM SM-5 DESKTOP MICROPHONE IN THE SAME CONDITION AS THE NEW, COMPLETE WITH ORIGINAL NEW ANTI-BLOW DEVICE, 8-PIN CONNECTOR, TESTED AND CHECKED. 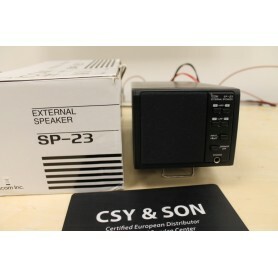 ICOM SM-20 DESKTOP MICROPHONE IN THE SAME CONDITION AS THE NEW, COMPLETE WITH ORIGINAL PACKAGING, 8-PIN CONNECTOR, TESTED AND CHECKED. 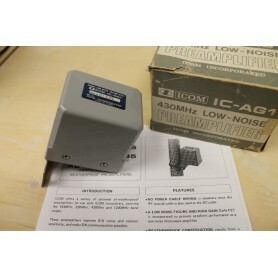 ICOM LINE SPEAKER, WITH FILTERS, PERFECT AS NEW IN ITS ORIGINAL PACKAGING. 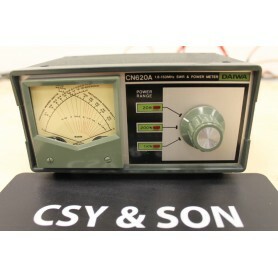 ROSMETER WATTMETER CROSS NEEDLE, GOOD CONDITION, FROM 1.8 TO 150 MHZ, 3 SCALES OF POWER 20/200/1KW.